1. An infant was used in this ad for chewing tobacco. 2. 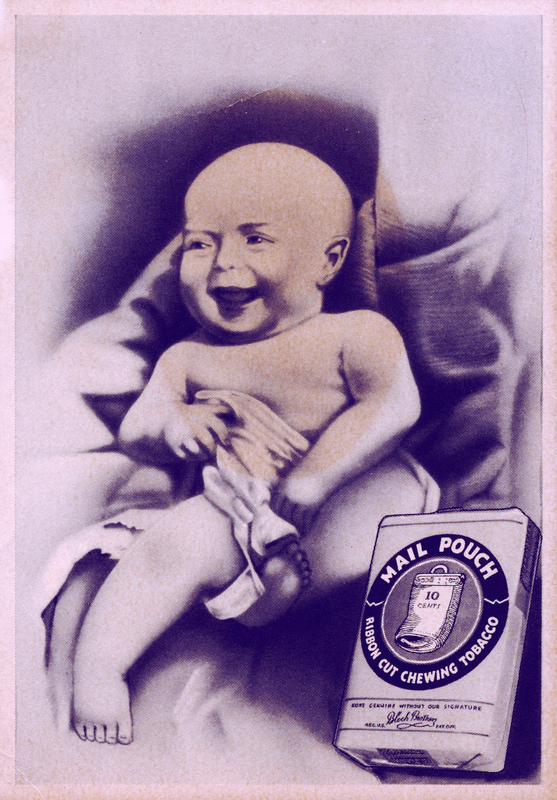 A misshapen infant was used in this ad for chewing tobacco. 3. A portion of this ad for chewing tobacco once was framed.